If I’m thinking magnificent thoughts, how come I feel so terrible? I love self-belief. Achieved healthily (being given independence as a child, resilience building, measured risk taking), self-belief stems from a healthy self-esteem. Not confidence. Anyone can bung on the confidence. True self-esteem, I think, takes it root in humility. Where you have strength enough within to realise that it is not the external world of ‘stuff’ that feeds your soul. These blogs begin as I face up to my misconceptions about Christianity. Prior, I was firmly in a spiritual, new age mindset which began around 2000. My life had spun out of control (booming business, failing relationship) and I was seeking answers from the great beyond. I stomped the self-development trail for years. I’ve aligned my chakras, reframed my language, read ‘The Secret’, been to manifestation seminars, viewed ‘What The Beep’, and trained to become a kundalini yoga teacher whilst pregnant with child number 2. I learnt a lot about the self-development industry and myself. Specifically, you can go broke fixing yourself. No energy? Try a colonic irrigation. No money? Do a course on manifesting wealth in your life. Fancy marrying Brad Pitt? Read ‘The Secret‘ and then focus your wonderful spiritual energy on that outcome and, yes, you too can be Angelina Jolie. After years of business boom, I was due for a bust (ah, no, I didn’t manifest it, there’s a universal law about ups and downs). The down happened spectacularly when the GFC wiped out many of our US clients’ Australian offices. I watched $300k in revenue disappear from our agency in less than two months. Time to get out there and do some fast business building. Just prior to the GFC I had been in Vegas on a course – all about mindset. Thought Creates. Law of Attraction. Law of Action. Time now to put it all into practise. Except nothing worked. I was ‘putting it out there’ that I wanted to manifest profitable new clients (as well as actually doing the work: pitching, marketing, networking etc), meditating like a ninja and creating vision boards. The inevitable conclusion, if you follow new age thinking, is that I was responsible for my current financial reality (not the Lehman Brothers) as new age spiritualism says there is abundance for all of us to tap into – I just wasn’t doing it well enough. For a smart woman, my internal resources failed me. I spent a lot of time blaming myself for my business failure. Yep, I’d built up a half a million dollar business in 6 months, kept it profitable for a decade, employed people, but rather than focus on all those successes, I was focused on the failure. And struggling not to focus on the failure because, well, thought attracts, and if I keep focusing on the failure then more will follow. I was exhausted. Utterly and totally. Of course I became sick. A series of dodgy blood results had the Doctor wondering about leukaemia and ordering more tests. I recall standing in the shower after the appointment and the thought crossed my mind that I may not see my children grow up. “Oh well” was my brain’s listless reply. Luckily, I had enough insight left to recognise this was not an appropriate response and took myself back to the Doctor for a Depression Anxiety Stress (DAS) test. When the Doctor told me I was suffering from severe depression it was a Homer Simson moment: “Doh!” – that explains it! Chinese medicine has a saying: ‘tears close to the surface’ – I had felt like that for months. Numerous factors contributed to my depression, not least the impact of the GFC on the business, two major, concurrent sicknesses in my closest family, plus I was trying to be superwoman, juggling preschool age children with a business in recession. As for manifesting my reality? My brain chemistry was so out of whack I could have been Anthony Robbins and nothing would have changed. It’s hard to manifest anything positive in your life when your serotonin is through the floor. Depression isn’t simply a case of ‘pulling yourself together’ or thinking the right thoughts. There’s a physiology to depression as well as a psychology. Beating depression, for me, came through tryptophan-building, a great GP, a wonderful naturopath and a psychologist. And – I think this is the crux – letting go. Letting go that I could of my own self do anything. But letting go and letting the universe step in hadn’t worked that well for me either, all I’d gotten was depressed! So what if I let go and let God? Really stopped prevaricating? If I could hand over my spirit to crystals, yoga, theta-healing, the light, the dark and all the aura spectrums of the rainbow, what about if I tried New Testament rather than new age? Again, God displayed a sense of humour. Prior to calling the SAP, I had consulted another psychic. 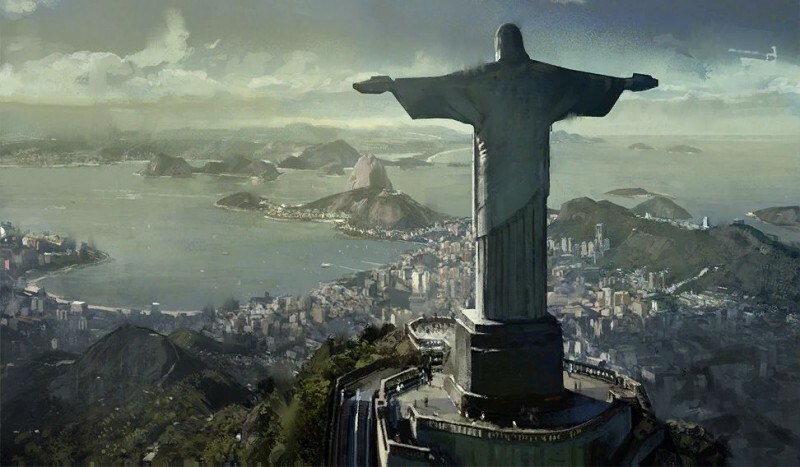 Who kept telling me she was receiving the image of Christ the Redeemer – the Art Deco statue of Jesus Christ in Rio de Janeiro, Brazil.